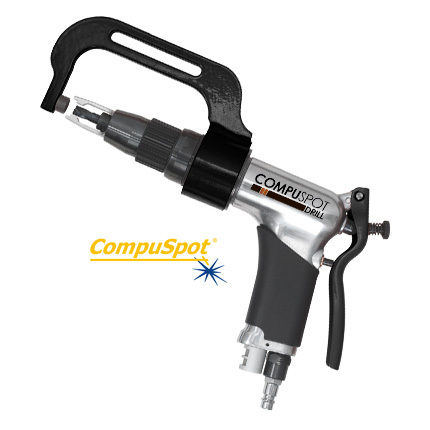 The CompuSpot Drill has been designed to remove spot welds on boron, high and ultra high strength steel, efficiently, quickly and without wearing out bits prematurely. Low speed, high torque cutting action. Required for steels with a high Rockwell hardness rating. Prevents drilling into the bottom panel. Improves alignment and prolongs bit life. Reduces friction heat and increases bit performance. Provides a wider, shock resistant cutting surface.